We’ve spent the last week driving around in the current Skoda Octavia vRS wagon, which was drafted in to cart around the Sunday Service paraphernalia, the suggestively large EnduroKA tool box and all the other odds and ends required to keep the good ship PH sailing. It’s an unforgiving task, but the big Skoda does it consummately and with the kicker of genuine pace. We have to give it back today, and we don’t want to - which is virtually the only marker of quality that actually means anything. As it always does, the car’s departure has sent us burrowing into the classified treasure chest to discover what’s what. Given its longevity and reputation for value, it’s entirely unsurprisingly to find the cheapest Mk1 vRS-badged Octavia barely edges into four figures, despite being described as a “good, reliable runner” that’s “still a joy to drive”. Really though, you want a Mk2 - because then you get 200hp from a 2.0-litre turbocharged engine. That’s 45hp short of the latest model, which ought to mean that today’s 76,000-mile-old Spotted should offer similarly brisk performance along with the same extensive list of practical traits. It’s a hatch, rather than estate, but being a Skoda which shares its underpinnings with the Mk5 Golf GTI, it can still swallow lots of luggage, easily return miles per gallons in the mid-thirties and do all that while carrying its passengers in comfort and without fuss. The Mk2 handled pretty sweetly too, with a GTI-like eagerness that was only slightly softened to give the Skoda a more forgiving character. It’s probably not too controversial to suggest that the Mk2 Octavia vRS was bought for their broader usability than any specific fun factor, which would help to explain why so many came with a DSG gearbox. Opting for this over the manual had no impact on listed performance, but we’re still pleased to report that today’s Spotted comes with three pedals. The six-speed ‘box was slick in its day and since vRSs were engineered with the ability to tow, it’s tough, too. 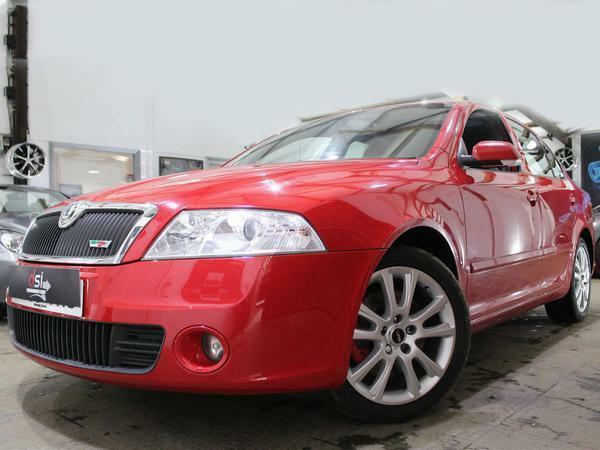 The seller also reveals that the car was formerly owned by a policeman; less compelling than a service history perhaps, but further evidence of the Octavia’s no-nonsense credentials. It still looks the part, too, in healthy-looking red and on clean 17-inch alloys. Most importantly of all, for a smidge less than £5k, it remains a well-rounded and un-boring solution for shifting your possessions around. As someone who is looking for a sub 6k family do-it-all with the possibility for a bit of fun, a vRS is sorely tempting. Watch for corrosion in the boot lid & along the bottom of the doors. Zinc inclusions cause it & will require the attention of a bodyshop. Always felt mine needed a little more power, easily resolved with a remap or so I'm told. Never got around to having mine done. Had mine for few months. Good family car that goes and handles well especially after a remap. Stage 1 will give you 250 bhp. Interior is durable but cheap looking. Plenty to choose from if buying another id get one better speced mine is povo spec but bought it due to the mods, handles great with b12 suspension and uprated rear anti roll bar. 5k for a 2007 one is pricey even with the low miles. I've got a facelift mk2, agree that it could handle a little more power. I do quite like the linear delivery it comes with as standard though. Mines also had a fair few faults already despite being an obviously cherished car. Tweeters keep cutting out, p2015 (intake manifold flap) fault, air con seems to be leaking...Still like it though. For a family car, it's pretty ideal. I have purchased two (pre LCI) E90 330i manuals, both for less than GBP 3,200, both with less than 100k on the clock. Extremely reliable, good performance, good practicality and good economy. I think that these represent far better value than the RS - there are also plenty about to get your hands on!! These Skodas do look like good family cars. They're rather different cars. Those were the two cars that our short-list came down to and we ended up buying the Octavia. 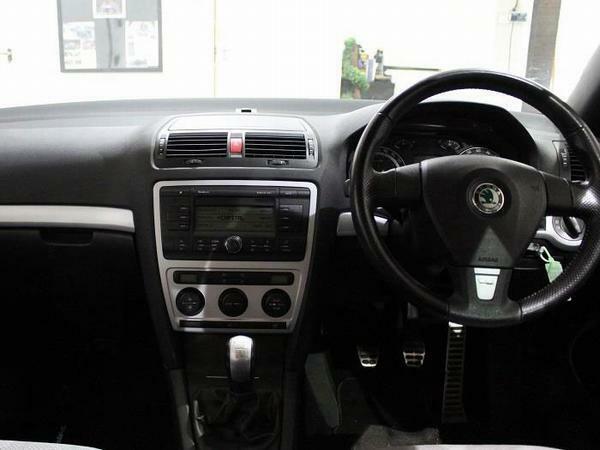 There's no denying that the BMW has a nicer engine but the Skoda is a far more practical car both in terms of interior space and boot capacity. It's also substantially cheaper to obtain parts for and with when I drove both on the same route, a bit more economical. Ultimately I had a slight preference for the BMW, but my wife had a large preference for the Skoda and it was going to be primarily her car so that's what we ended up buying. It's not a car I'd call fun or characterful, but it's a deeply capable one. It could certainly take more power but I'm not sure I really see the point; you could give it 500bhp (and indeed some people have) and it'd still be a thoroughly dull car to drive. Good to see that this example has 17 inch wheels on it; ours has 18s and they're complete garbage. That depends on your requirements, mine is a family car and the VRS came out on top easily for that. Practicality wise- the rear seating space is a lot larger in the Octavia plus the boot is larger/better shaped. I think from memory even the hatch Oct is better than the Touring 3 in that regard. I seem to recall that our (admittedly idiotically long) pushchair was too long to diagonally in the boot on the 3 series, whereas the Oct easily swallows it. Secondly the real world fuel economy is around 20% better in the VRS. As an aside I also found it very very difficult finding a 330i in the right spec and condition. Loads of 330d, but not many petrols. Have had 4 Octavia's, a hatch and 3 estates of various trims and specs. I did get bored of them at one point and wanted a change but couldn't find anything else with the same combination of space/equipment/price/ease of ownership/comfortable as old slippers so keep buying them. Rear seat space is huge, and never get knees in your back when driving. They are also for the most part completely invisible and few (MK1 Fabia / Octavia VRs aside) attract any loud and troublesome demographics. I had a 2000 Leon Cupra many years ago which I quite liked. So a recent change had me looking at this era of VRs (not least because I have a relative who works at a Skoda main agent)! But as a BMW straight 6 fan I ended up going for an E90 330i - even managed to find one with the split/fold rear seat option! But it did cost a bit more than £3,000. Still, it drives great so I'm happy! But I'd agree they aren't necessarily cars that will generally appeal to the same buyers. Have had an estate and saloon both petrol and manual. Fabulous cars does everything required with beautiful gear change, performance and comfort. Difficult to find a better car in this sector. I keep getting drawn to them as a second car prospect. Although you will pay a bit more and have a harder time finding one (in manual), if practicality was more important, I would opt for an E90 Touring. Well who wouldn't want a 330i with creamy smooth inline 6? Not that I doubt your claim, but you're significantly under market value there, whereas the Octavia is arguably over market. I'm a bit bemused by VRS values. We paid £5600 for ours eight years ago; I struggle to believe age has only removed about £600 in that time. I had a 2009 Vrs estate for 8 years. Wasn’t s nice place to be during a long journey, horrible road noise & uncomfortable seats. I was expecting this to be more like £3k. At £5, it feels like a lot for a 12 year old Skoda; decent enough car though it is, it's still a heavily badge engineered FWD 4 pot hatch. Perhaps an overpriced example isn't the best one to lead a story with. There are plenty in sub 3k territory with similar mileage and service history. At closer to 2k they are very good value right now, thinking man's Golf Gti is a right cliché but fairly accurate in this instance. The Skoda is definitely more practical, and I agree that finding a BMW 330i is more of a challenge - as I found out recently! But if you look for a manual E91 330i (Touring) there is only 1 on Autotrader just now, and it's priced in a different league at £5,500! So not really comparable at all. Interesting viewpoint. 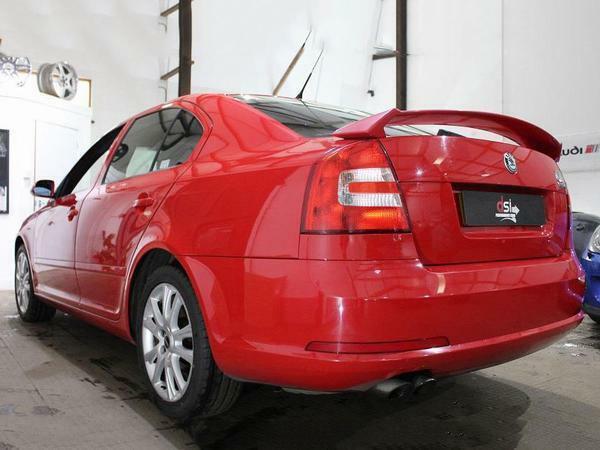 My previous car was an Octavia vRS - current car is a Pre-LCI e90 330i manual. The 'better' car imho is the 330i, and there's a good reason that I changed, but it's quite frankly laughable to mention these two as comparable vehicles or that the BM is a better value prospect - that's just patently wrong. I also think you've been a very luck chap to get 2 of these - in manual - for sub £3,200. I searched for a low miles manual 330i for over 6 months, and unless the bottom has totally fallen out of the market the entry price for a good clean car in that spec was about £6k, if you could even find one. You can go for weeks with only one or two manuals coming up - certainly not 'plenty to get your hands on' as you say. Any that came up at sub 4k would be automatics, high miles or good on the surface but shagged when you had a good look and needing the same again spending on them (or all of the above, tbh).